Ethereum (ETH) just took the second spot from Ripple’s XRP yesterday according to Coin Market Cap (CMC) and has been there since then. However, there may be a chance that XRP will bounce back and take the spot again as has always been. The two have been competing for the spot since 2018 and there is no telling which will be there and for how long so long as the market volatility continues. Weiss Ratings in an attempt to know what the crypto community thinks about the situation conducted a Twitter poll for respondents to choose which cryptocurrency they thought deserves to stay on the spot. A staggering 80% of 2,922 respondents voted for XRP while ETH had only 20% saying it deserves to be the second largest cryptocurrency. While many may find this surprising, Ripple actually has many supporters who think CMC does not calculate XRP Circulating Supply accurately. They make reference to websites like Forbes which show XRP market cap at $30 billion. That is a big difference from CMC’s $12 billion. Some of Ripple’s fans believe the difference comes when CMC calculates all BTC and ETH ever mined in the market cap but doesn’t do same for XRP and so argue that XRP should actually be the number one cryptocurrency and BTC second, so the poll was invalid to start with. Ripple is basically a remittance-based blockchain project. 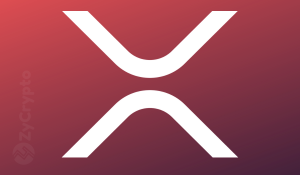 Its token XRP is used to provide liquidity for payment settlement around the world with hundreds of institutional customers around the world according to the company, although this fact is being contested. The wide patronage Ripple’s payment platform enjoys may validate the argument that it should be the number one cryptocurrency by now. Ethereum, on the other hand, is a hub for smart contracts and dapps, which a recent report reveals only 10% are being used daily. This further strengthens the argument that ETH should not even be close to XRP as it has nothing to offer while Ripple has a product, and the argument continues. The question is which of the websites provides the correct market cap information? Those in favor of XRP or CMC that favors ETH? The post Twitter Poll Reveals Most People think XRP Deserves the Number Two Spot in Market Capitalization appeared first on ZyCrypto.